Rachel worked as a farm manager for three years in Pennsylvania. She now owns a small farm in Minnesota, One23 Farm. Wow, what an idea, right? I think there's a growing trend in people taking an interest in where their food comes from. If you're raising it yourself, you have the pleasure of never having to wonder about that. Aside from being able to rest easy knowing that you're eating humanely-raised, healthy, and healthful meat, which means you're eating well, the other benefits of raising meat yourself include saving money, getting better connected with the real world of the outdoors, and enjoying a greater measure of self-sufficiency. 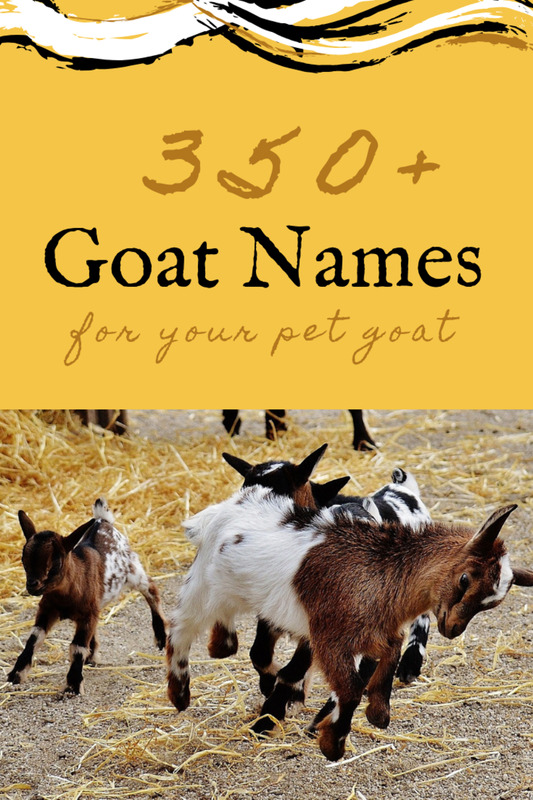 Am I allowed to keep livestock animals where I live? In the case of chickens, the answer is probably yes. In terms of hogs, cattle, sheep, or goats, you'll have to look into it. Do I have enough space to keep livestock animals? A good rule of thumb is that you can put 1000 pounds of grass-eating animals on one acre of good pasture. Do I have the time to deal with keeping livestock? Having farm animals is sort of like having pets, only you're not supposed to get emotionally attached to them. Minimally, they need you to provide them with water, food, and somewhere to live. Large animals drink large quantities of water. 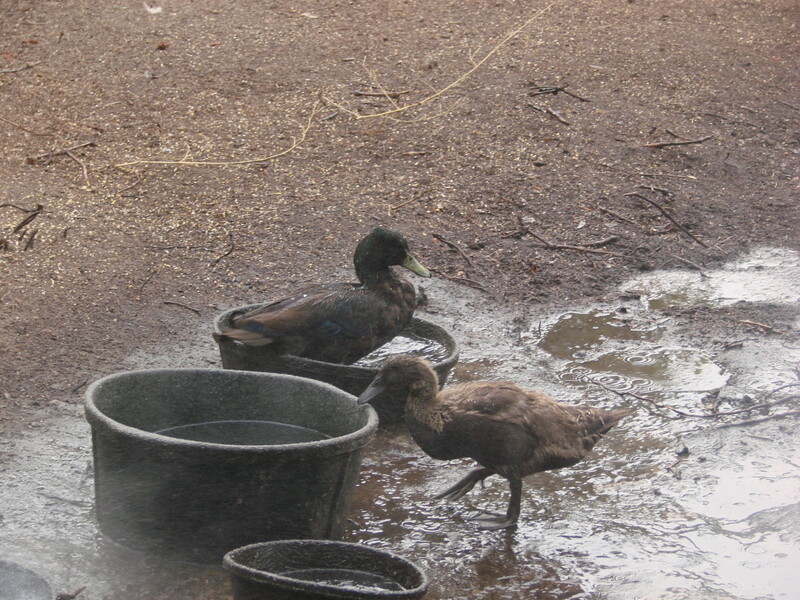 The troughs that you supply the water in will need to be cleaned every couple days. Fences will need to be maintained and repaired. You'll need to be able to look in on your animals at least once a day, every day, to make sure everything is in order. People sometimes ask me what it would take to get to the point where I don't have to buy meat from the grocery store ever again. My first thought about this kind of thing is that no matter what self-sustaining system I might have in place, "something bad" can always happen to throw a monkey wrench in it. For instance, I've lost entire flocks of chickens in one night to raccoon-raids. This is something that it takes months to recover from, and if I was relying on those chickens for all of my meat, I would have been off to the grocery store. If you raise livestock, you're going to experience losses from predation, disease, and other health problems that never really explain themselves. If you raise sheep, for instance, you might find that one of your lambs just dropped dead overnight. You can speculate that he might have eaten some buttercups, but unless you order an animal autopsy you may never know what did it. All of that depressing reality aside, most animals are healthy and will remain healthy if they're given food, water, and somewhere to live. Raising animals for food is an extremely rewarding experience. I guarantee that the first time you taste the pork of a pig that you raised yourself, you'll be blown away. For my little family of two adults, we need to have butchered two 200- to 250-pound hogs every year, or we will run out of pork and have to buy it from the grocery store (ew!). A 200-pound hog yields about 180 pounds of meat; you lose about 20% during the butchering process. That means that each of us is eating about 4 pounds of pork every week. To be honest, I’m not sure if this is typical or not. I love sausage, and David loves bacon; and we both love pork roast, and spare ribs. We also have a fairly easy time raising the meat, so if we do eat more of it than the average person I reckon that would account for why. My best advice in determing how much pork you should raise for yourself would be to consider your eating habits. How many times per week do you have bacon and/or sausage for breakfast? How often do you eat ham? How often do you cook a pork roast or chops? How often do you eat spare ribs? Raising two hogs really isn’t much of a challenge; we raise a lot more than that, and sell the others. But before you can raise even one hog, you have to have somewhere to put it – somewhere that the hog can’t break out of. Constructing a pen is a good choice. For two hogs, a 40ft by 40ft pen would be more than adequate space for them. The walls must be sturdy, and if you’re using boards you should nail them up close enough together so that the pigs can’t see through the cracks. It seems that if the hogs can see what’s outside, they’ll be more likely to want to escape. Running one or two strands of charged electric wire around your hogpen is certainly a good idea. Place at least one of the strands at what would be nose-height for a hog – this way, they’ll be sure to encounter the wire if they’re escaping, and will probably get knocked on their butts and not try it again. Another option for containing hogs is an electric net fence. I recommend this to those who are very serious about cutting feed costs and eating pastured pork. The benefit of such a fence is that rather than having to deal with running electric wire, and setting stakes, and installing insulators, you can just pretty much throw this fence up and charge it. The other great thing about the electric net fence is that it’s portable. This means that if you have the space to do it (a couple acres would suffice for two hogs) you can move the pen around throughout the season. This is sort of like rotational grazing on a smaller scale; you get to cut feed costs because the hogs will continue to have access to grass, weeds, and whatever they can turn out of the soil. Speaking of which… don’t put hogs on pasture that you’re not willing to have dug up. They will use their snouts to root, and in their search for worms, insects, roots, snakes, field mice, and whatever else, they will leave your meadow looking like it was turned by a medieval walking plow. Again, rotating hogs on pasture is something I would recommend only to those who are very serious about such an endeavor, and who have the time to deal with it. Otherwise, constructing a pen that will be stationary should do you just fine; or, use the electric net fence and just leave it in one place for the whole season. If you’re not keeping hogs on the same space throughout the year, year after year, the fenced-in area will recover somewhat in terms of grass and other green stuff. 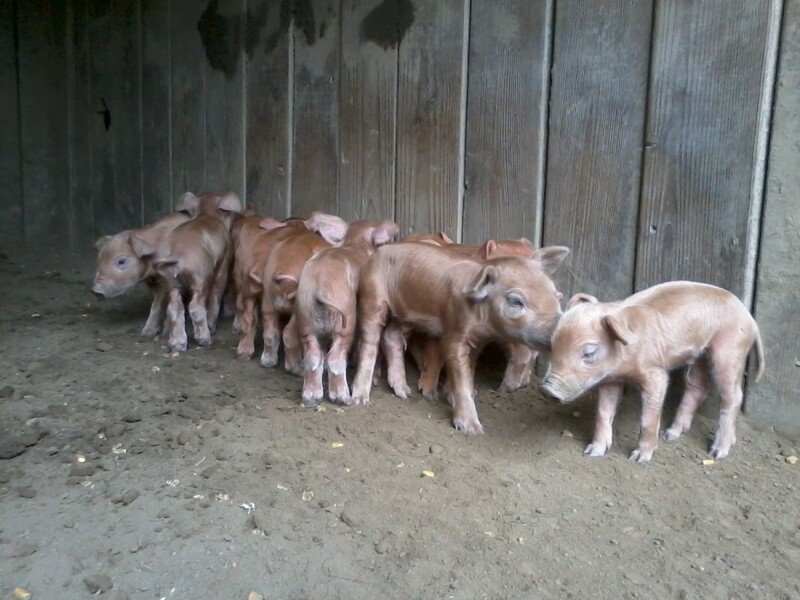 When you buy your hog or hogs, they’ll probably be wean pigs – they’ll weigh 40 – 80 pounds, and be cute as buttons. Buying them any larger than this starts to pose other problems, such as hauling them; unless you have a trailer, you’ll want to buy wean pigs. Attend a local livestock auction at just about any time of the year, and I bet you’ll see dozens if not hundreds of little pigs for sale. At this size, you can haul them home in a dog crate in the back of your truck, or even your car (if you’re really cool). The pigs will grow very quickly if fed properly, and this is exactly what you want. I'm not raising this many chickens yet, either - this article is about what it takes to eliminate the need to buy meat from the grocery store. Self-sufficiency is something I'm still working towards, and probably will be for years to come. But what a goal! 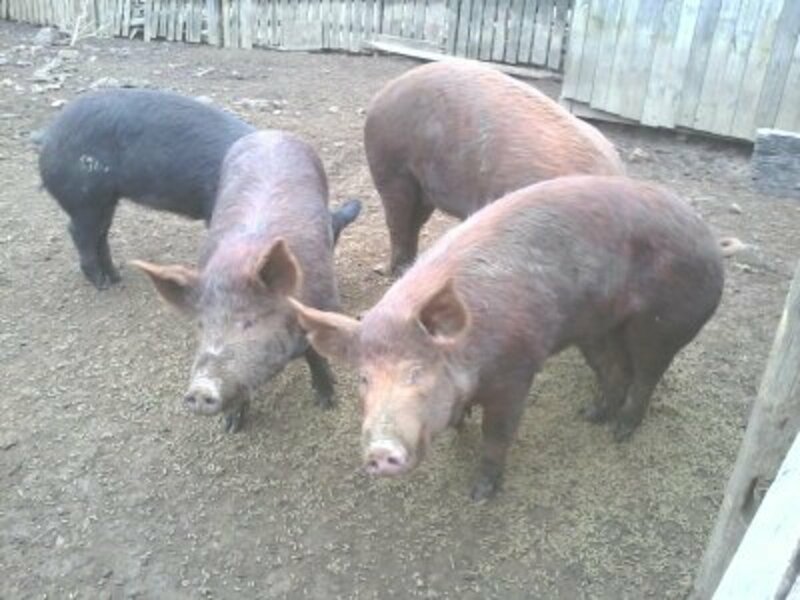 Ideally, you’ll be able to purchase your pigs in the spring and butcher them in the fall. Even if you’re not relying on pasture grasses, clovers and weeds to supplement what you feed your hogs, you really should plan to butcher them in the fall, anyway; energy requirements (i.e., feed requirements) rise in the winter because the animals have to combat the cold. Only in temperate climate does it really make sense to keep butcher hogs over the winter. Feed your hogs a diet that is at least 16% protein. Corn alone is only about 9% protein, and will not cut it. You can purchase pelleted hog finisher; we’ve used the stuff, but it’s kind of pricey. You can also buy ground soybean, which is very high in protein, and mix it with cracked or shelled corn, oats, and/or wheat. The soybean is generally more expensive than corn, as well. The best thing to do is to talk to your local feed supply store, your local feed or grain mill, or local farmers; find out what products are available for hog feed. Your location is likely to be a big factor in determing what you feed your pigs. One season, our local feed store had a few pallets of dog food that were going to expire, and they asked if we wanted them for hog feed. I did a little research, and determined that the dog food was basically ground corn, ground chicken and beef, and various other grains; I checked out the ingredients on the expensive hog finisher, and guess what? Not much difference! So we took the free dog food and fed it out to the hogs. The pork was delicious. 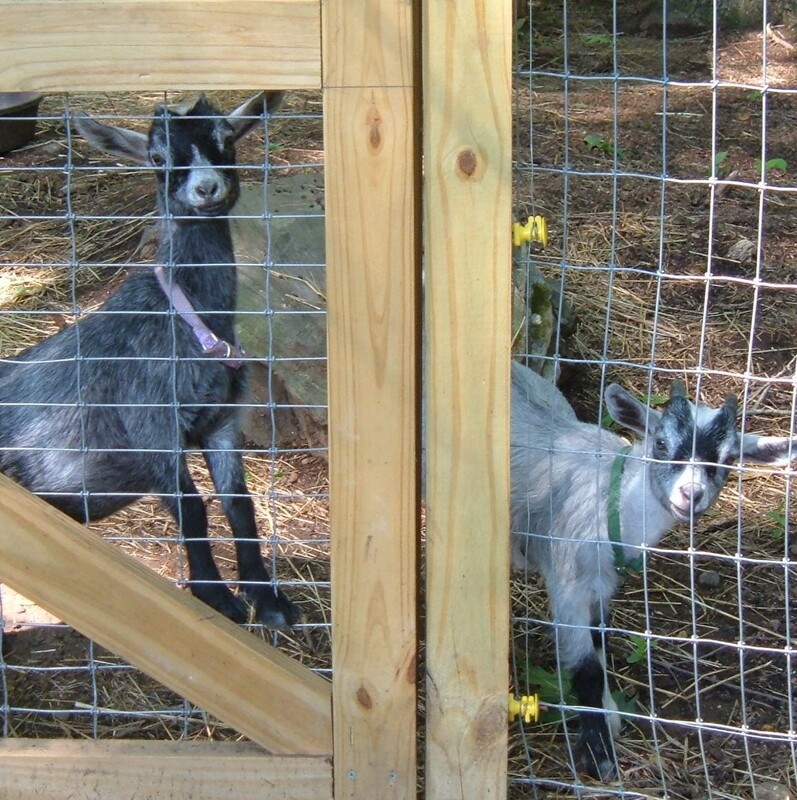 My point is that it’s good to get creative when it comes to raising your own livestock for food. You never know what kind of opportunity for inexpensive feed might come your way, so be open to possibilities and do your homework before you make any changes. If you have a feed that contains an appropriate protein content, you can feed about five pounds per hog per day, and you’ll be on your way to home-raised pork! The average person consumes about 1 chicken per week – that’s assuming a chicken weighs between 3 and 4 pounds. If you’re interested in only eating chicken that you’ve raised yourself, you’re going to have to shelter, feed, care for, butcher, and put away at least 50 chickens every year. Luckily, raising chickens isn't that hard. If you’re feeding more than one person, the number starts to climb. A family of four can easily eat a whole chicken in one meal (I can also do this myself, but that’s beside the point). Assuming that there are two adults in your household, and that you both eat one chicken every week, you'll need to raise 100 chickens every year to avoid having to buy chicken. Or, decide to eat less chicken - that's fine, too. Raising that many chickens may sound pretty daunting, but there are ways to do it that will make the task a little less crazy. 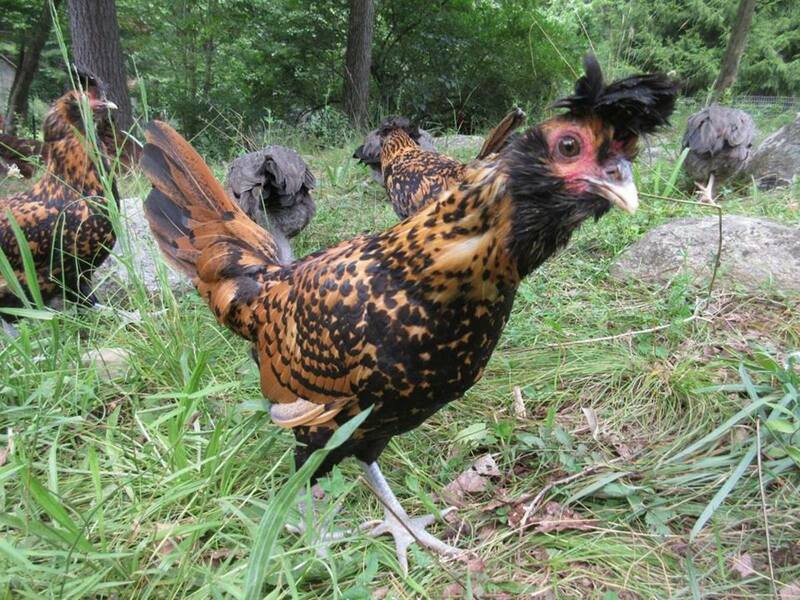 Let’s settle on raising 50 chickens in one year. If you purchase 50 chicks at one time, you’re going to have so much work on your hands while the little guys and girls are in the brooder that you probably won’t even have time to sleep. With that many little chicks competing for resources like food, water, and warmth, you’re also likely to see greater than the typical 1%-5% brooder loss. 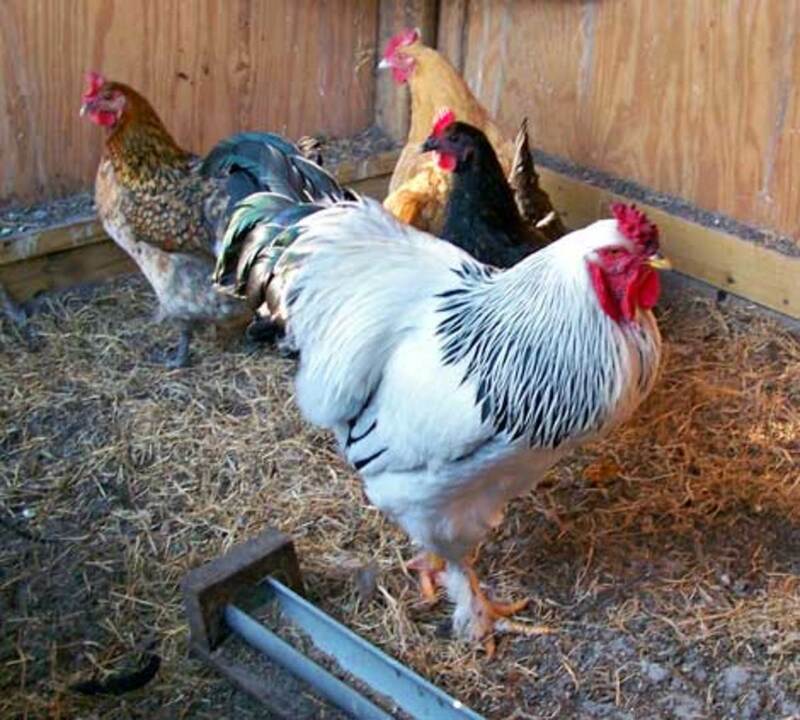 Instead of doing everything all at once, split up the 50 chickens into different “batches.” If you’re going to be relying somewhat on pasture to feed your chickens, then you’ll want to get chicks in the brooder about 3 to 5 weeks before the grass starts growing. Find out when the last date for a potential frost is for your area, and plan to get chickens out on the grass on or just after that date. Your plant hardiness zone should give you that information. If you’re raising a breed of meat chicken, like the Cornish, that is ready to come out of the brooder at three weeks, then you should be starting a new batch of chicks every three to four weeks. This way, you’ll always have a batch going into and coming out of the brooder, and won’t get too bogged down tending it. Here in Zone 6 in Pennsylvania, where our last frost date is supposedly April 15th, I can start chickens in the brooders in late February and early March. I tend to push it a little – it wouldn’t hurt to wait a little longer than that. I was right to do this last winter, though, since the temperatues were so unseasonably warm and the grass got a headstart. Your last batch of chickens should be ready to butcher before the first frost, ideally. For me, this means October 15th. So, if I want to raise 50 chickens throughout the season, and I start in March and need to finish before October, that means I could do seven batches of 6 chickens each, and one batch of 7. That’s actually more complicated than it needs to be, however; instead, I would raise five batches of 10 chickens each, extend the time between ordering batches of chicks, and therefore spend less time managing the brooder. Trust me, having time away from the brooder makes life simpler. And as you can imagine, when it comes to butchering it’s easier to do 10 chickens at a time than to do 50. You can, of course, play with these numbers a bit. If you need to feed more than one person and want 80 or 100 chickens but would rather handle fewer batches, then raise four batches of 20 chickens each. Just remember that when it’s time to butcher the birds, you don’t want to find that you’ve bitten off more than you can chew (so to speak). Generally, if temperatures aren't dropping lower than 70 degrees at night, you can get away with taking the chicks out of the brooder when they're one week old. 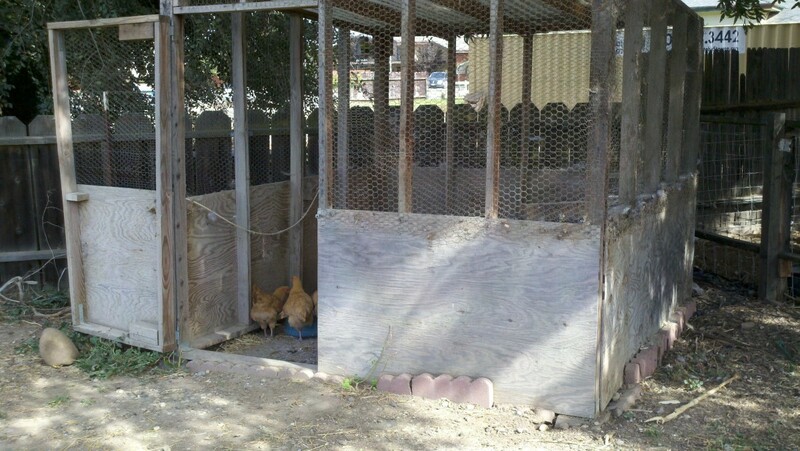 However, they still need to be indoors until they're pretty well feathered. This is a benefit to me because I have a "backroom" in my chicken coop where I can put summer chicks, and I don't even have to deal with the brooder. If you don't have a separate space for the babies, you should just leave them in the brooder until they feather out. What about raising your own beef? To be honest, I haven't had the pleasure of raising my own beef - yet. It's on the list of Things I Need to do in the Next Ten Years, with about fifty-thousand other things. I'm really looking forward to the day, which hopefully will be soon, when I can raise some beef. I don't like to speak extensively about things I haven't done myself, and I don't have any personal experience dealing with the particular needs of beef cattle (whatever they may be). Beef steers (castrated male cattle) and beef heifers (young females) are usually butchered at somewhere between 800 and 1200 pounds. The final weight of the meat that you will get from a beef steer, after all butchering and processing, is about 60% of the animal's live weight. So if you butcher your 800-pound steer, you should be putting up about 480 pounds of beef. If you eat one pound of beef every day for a whole year, you probably still won't have consumed all of the meat obtained from one 800-pound beef steer. Hopefully you have family members that like beef, too! It's far more economical to obtain a weaned (grass-eating) calf in the late winter or spring and have it butchered in the fall of the same year (when the grass stops growing), than to keep the animal and feed it during the winter. It's downright silly to buy a calf that is still drinking milk. I can tell you this from personal experience - bottle-feeding a calf is simultaneously exhausting and awesome. The problem, at least for me, is that the potential to "fall in love" with the animal is heightened. 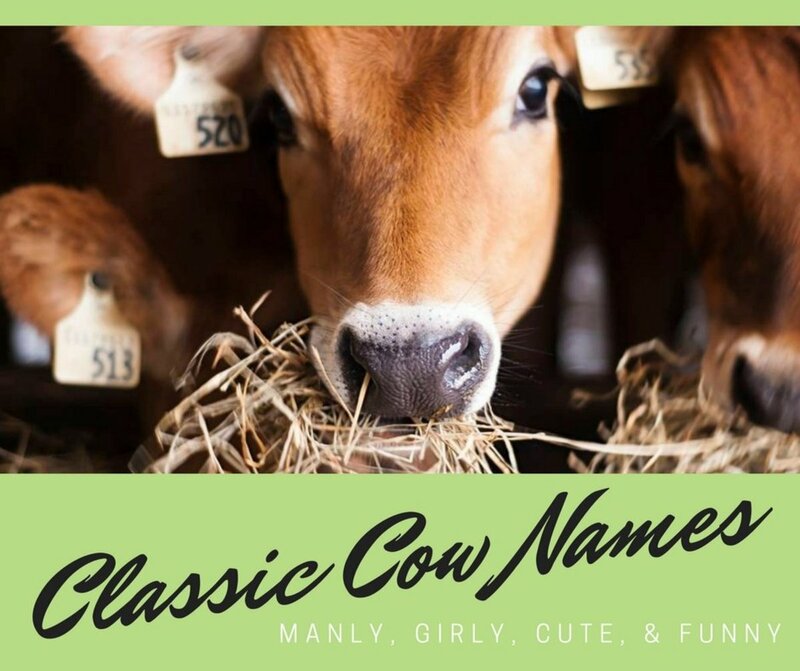 We have a Guernsey steer here at the farm that we were bottle-feeding three times daily for two months last spring. He's in training to be an ox, so I've decided it's okay that I love him. There are breeds of cattle, like the Angus and Hereford, that typically get "beefier" than the dairy breeds - however, when raising up a young steer for your own consumption it really doesn't matter much which breed you chose... except that, on average, you will pay more to purchase a Black Angus calf, and much more for a Holstein heifer calf. One steer being raised for meat can get by just fine with one acre of good pasture to himself. Grass-fed beef is a little bit different in texture from the beef you might be used to, so you can consider graining the animal at 1-2 pounds per day for the last 60 days of its raising. If you want grass-fed beef, you can certainly finish out the animal on pasture alone. Well, there you go! I hope this little guide might be of some use. This is very interesting to me! 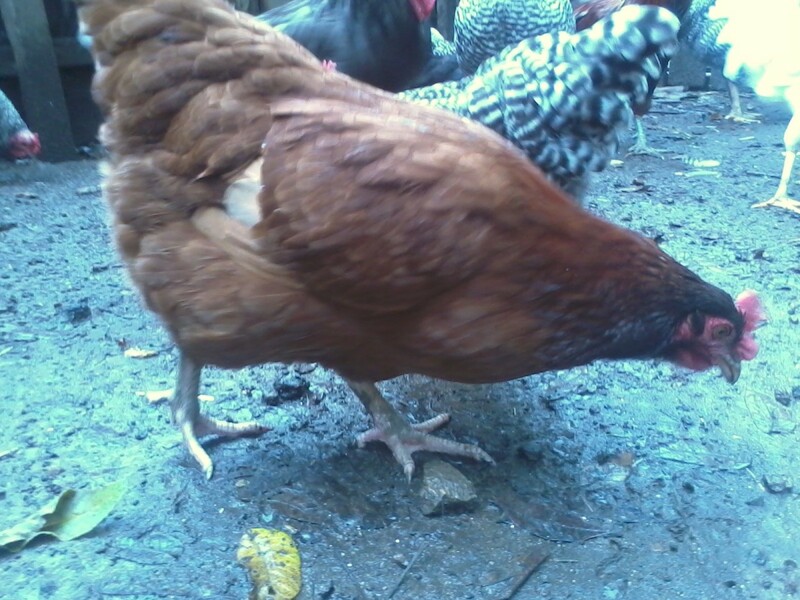 I am hoping to start raising backyard chickens for eggs (once I move out from my parents, and dependent on living somewhere that allows chickens), but hadn't planned on raising chickens for meat. I suppose this is another venture I could consider down the road. Would definitely like to try my hand at hogs at least one year too! Electro-Denizen - I agree with you there! "...what we believe is really the key to everything in our lives..." Yup :) It's interesting what you say about the veggies vs. the fruits. I've never had that experience, personally. Those are interesting studies on sheep. They do get upset when they are separated, and I think that because they are safest in the flock they prefer to stay with each other. Sheep also recognize the difference between new flock members vs. old ones, but fail to recognize each other at first after shearing! It's pretty funny actually, to see them looking so confused when their wool has been removed. But I will say this - I do not have lambs butchered before they are weaned. The separation anxiety that they exhibit even when they are away from their mothers for just a few moments is enough to convince me that the best time to butcher them (if butchering is what's in store for them) is after their mothers have weaned them naturally. That basically means that spring lambs headed for market or the butcher don't go until the fall. It's only fair to let them be weaned first, as far as I'm concerned. Interesting data about the cows wanting relief etc. I know that sheep remember other sheep they've been with, even 3 years later to the astonishment of researchers (they stuck on photos of sheep they were raised with, and pinned them to sheep-like objects!) and found that sheep ran to these straight away, for security I suppose, recognition. A friendly face lol! I don't know about cows but it sounds awful hearing them bellow like that. Yes, pretty big farm. I guess it's true to say that we're omnivores, and everyone makes their choice. At the moment, I'm fascinated by the strength belief has in honing in on certain pieces of data. Even placebo effect research shows that belief systems in terms of getting better are paramount i.e. what we believe is really the key to everything in our lives, from health to ethical choice. Usually all the data we think we have regarding not feeling well, is confounded and can't be easily separated. It's true that organic un-stressed animals produce better tasting meat, without all that adrenalin pumped into their flesh. Electro-Denizen - Well, to each his own I guess! I think that our ancestors were able to survive and thrive when we mastered fire and learned to cook meat. It's a protein, fat, vitamin and mineral-rich food, and cooking before consuming is sort of like having a second stomach. From my experience, cows call for their calves because their bags are heavy and sore, and they want to be milked to relieve the discomfort. It's an instinct and I don't think we should confuse it with something else. Ewes, for instance, cannot always tell the difference between their own lambs and someone else's - if done early enough, it is fairly easy to set a lamb up with a surrogate mother in the event that her own mother died or cannot milk. It sounds like you live near a large production farm, which I don't personally enjoy either. I think small-scale farming of animals in a humane fashion is the best way to produce meat for food. Feedlots and large-scale factory-type farms are rather inhumane and also, they don't produce high-quality meat because the animals aren't able to live (and eat) naturally. Sorry you have to listen to the cows calling, it's probably not very fun for you. At the end of the day, vegetarianism is a choice, one that I made years ago and have since abandoned. I feel much healthier eating lean, humanely-raised meat. I think there's a happy medium, one that exists somewhere between eating "bubba burgers" and eating an all-tofu diet. A diverse diet is really the best one. Thundermama - Thanks for the comment! 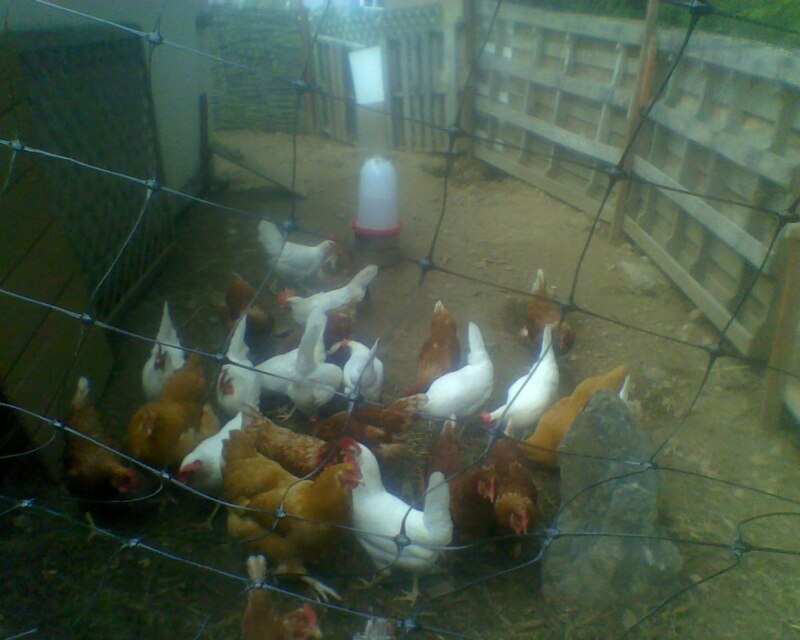 Chickens are fairly easy to care for, I would recommend giving it a try if you're interested. Take care! Honestly I think the answer is none! It's just not necessary to slaughter animals and eat their cooked flesh, to be healthy. In fact, even medical science is on the side of the this idea. The Harvard school of public health recommends occasional and leanly cooked meat, for those who still think it's a good idea. We have long intestines like herbivores, and our canines are not flesh rippers like lions are, and so on. Somewhere along the line tradition and eating habits became fixed, such as eating meat. In fact, a study at Bristol University shows the moral split children are lead down, usually by being served meat in a hidden manner when most children would never eat meat again if they saw the truth close up (like my mother-in-law who was served up her pet chicken during the war!). It's so sad that compassion is viewed as sentimental. I'm sure it's time for all this to change. I live next to a cow farm and the way we treat cows and calves, for meat and milk, is truly not fitting of a caring society. I have to close the windows when they take the calves away. The mum pines for them just as any mother would and wander around looking for them for several days. On the other hand, doing it at home is a bit better. But in my view, pointless. Compassion is the most beautiful quality. If we were a compassionate society, our society wouldn't be so sick. That's my rant done. Interesting hub anyway. It's all about taste entertainment, which is a little weird. Fantastic hub, so knowledgeable and frankly I am green with envy over your lifestyle. I live in a small village and a number of our neighbours have chickens, maybe it's time I took the plunge. Voted way up! cclitgirl - Well, that's kind of a shame! If you're traveling during the winter months, you might be able to make it work. I don't know if rhododendrons are poisonous to hogs or not, I know they're lethal to horses, sheep, goats, and very dangerous for cattle. Hmm, I'll have to look into that one. We have tons of buttercups here, but we also have lots of other forage available so all the sheep, the goat, the steer and the horse avoid the buttercups. I guess you could always dig them out ;) Anyway, don't be daunted! Start with a few chickens that you can easily confine, and if you're really serious then build a little hogpen somewhere where they aren't any rhododendrons. I'm sure you'd love it!! bravewarrior - Well, to each his own! However, I am personally concerned about the low-quality meat available in grocery stores. I appreciate your honesty, and thanks for reading! Rachel, I have to tell you, I have eaten fresh pork. I and several other people (none of whom knew all of the others. We each knew one of the party of 8. What a good time!) years ago went on a road trip. We stopped at the home of a couple who one of our vagabonds knew. They served us breakfast. I just love patty sausage and remarked how I'd never tasted sausage so good! It was at that point the woman of the house told us they had slaughtered one of their pigs the day before. I must tell you, I'm glad she told me AFTER I'd eaten the sausage! I eat meat, mostly chicken and pork, but I bury my head in the sand as to knowing they were once live beings. I went vegetarian many years back (probably vegan now that I think about it) when I found an embryo in an egg. I would not be able to eat something I'd seen roaming around in breathing flesh. I guess I'm a hippocrate by buying meat in a store, but if I were to see a live being, I would not be able to slaughter it and I absolutely would not be able to consume it! And yes, if I lived on a farm each and every animal would have a name and I'd have a relationship with them! Nice hub, but I think I'll go make myself a salad! Tee hee! You're my hero. That's about all I have to say.